Before all marketing interns now hit me: I am not saying you are not doing a good job. That is not what this is about. I have worked with great interns, and they were doing a great job. This is a plea for more acknowledgement of the importance of marketing in (young) companies. It sometimes shocks me out of my shoes to hear how low some founders rank the importance of marketing for the success of their company. And handing over the job to interns is just one symptom of a huge problem. I have been a founder myself; I am one again. I have been on a very limited budget – I am again. I know how it feels to operate on a budget when you have to hold together your money and need to evaluate spending every Dollar (or Euro) at least twice – because you could easily spend it three or four times. But not doing marketing, or saying you will do marketing once your company earns enough to pay for marketing is just not a solution. It is not only dangerous. It is going to kill your venture before it started. The best way actually would be to start building an audience (within your target group) long before you even have the idea of founding a company or building a product. But hey I am not going as far as trying to convince you to start your marketing before you decide on building a business. As this is quite unrealistic, you should at least start thinking about marketing the minute you start thinking about going ahead with your idea for a product or business. Once you start doing the calculations, a marketing budget needs to be part of your financial planning. As most entrepreneurs try to cut down costs and keep the budget they need to build something within limits, they plan to work with interns. And that is the second mistake – and again it can break your business. Part of an internship usually is to acquire knowledge. 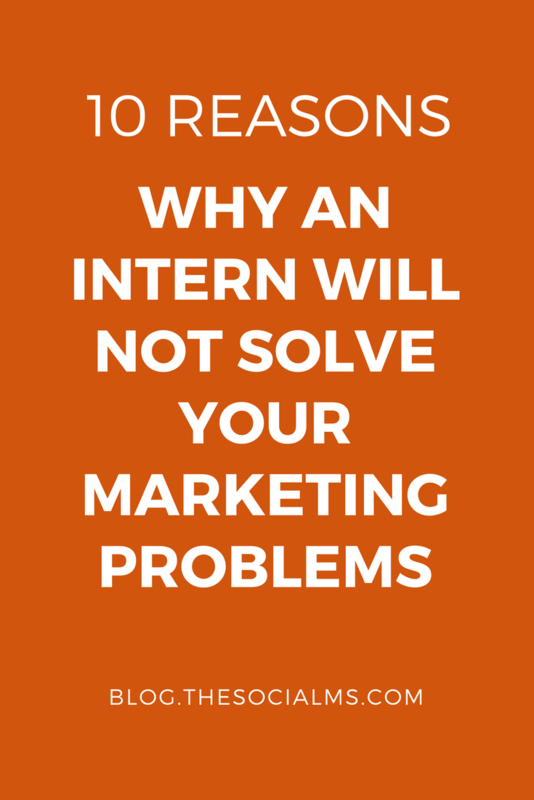 Interns lack the experience and the deep understanding of the marketing field they need for a fully paid job. You cannot expect your intern to hop on the job and produce success the next day. Especially in the field of online marketing where success is something that needs to grow and prosper with time, this lack of knowledge can result in now success at all. 2. If the intern would be good at it – would he/she be available as an intern? There is a huge need for skilled marketers, especially in the social media and online marketing space and not so very many people who know the fine print and the processes on how to build an audience, traffic and sales from scratch. So there are two possibilities: The intern is no expert in marketing or the intern is stupid to not ask for a real job. Do you want to put the success of your business in the hands of stupid people? How long does an average internship last? 3 months? 6 months? So the intern comes, learns, builds knowledge – and leaves for a real job. Next intern – start over. To say the least: That is not a very desirable marketing circle. In social media marketing consistency is king. But everyone needs some time to find his/her voice with fans and followers and figure out the best content and mode of presenting it. After 3 or 6 months things might start to run smoothly and successful – good-bye. There is a reason the executives of some of the very successful startups are not only part of their marketing process; they are the face of their marketing. Social Media is about connecting and developing relationships. Once your interns start building them, they are already almost gone again. Social Media is about connecting and developing relationships. 3 Months interns cannot provide this. When you are building a new business, time is crucial. You need success, and you need it fast. Most of the time the funds are so limited that founders need success regarding revenues fairly fast. The time the intern needs to learn what they need to do can be fatal if you need to invest it once. But to invest it, again and again, every few months? Do you think your business finances can cope with that? Even if an experienced marketer has to learn your special situation, he brings the experience and knowledge an intern has to learn first. Having to calculate with this learning time once might be ok, but doing it over and over again for ages is plain stupid. You need to invest in learning for your employees – every time. 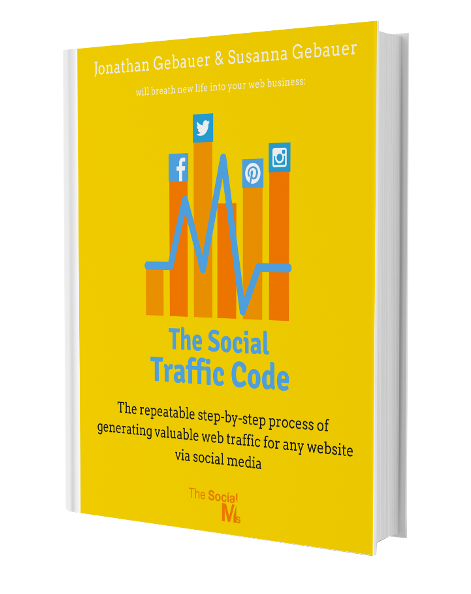 You can learn how to market your business, drive traffic and leads from social media yourself. Or you can provide your intern with the knowledge they need to grow a targeted social audience for your business. There is more than one way in which bonding is important in marketing: Between the marketer and the product he/she is marketing; and between the marketer and the audience. I have worked in several jobs. I worked in one for several years and the next just over a year. Even after I left the second one, I spoke of the team from the first one as “us”. Because I had bonded to the first and not at all to the second. In marketing, the bonding is really important. Success often comes through the trust a marketer can grow through communication and the level of attachment he/she can establish with the audience. A permanently changing marketing person robs you of this chance. Every time an intern leaves and a new one comes on board, at least, some of the bonds are cut for good. How can you expect your intern to understand the importance of a task you obviously give so little credit to? If your attitude towards the relevance of marketing in building your venture is so lacking, how can you expect the intern to understand and to save it? Marketing can make or break your company. If you show so little respect for the task, do you expect the intern to believe his/her job is so important? Who is going to train your interns? If you don’t know the answer, how should they? Who is going to train them if no one in your team has a clue? And not train one person, but train one every few months? Who is going to take the time to explain things? Who is going to train your interns? If you don’t know the answer, how should they? Usually, you are expected to teach your interns. With marketing, founders often expect the interns to figure out the right way to go on their own. And once they figured it out the are gone for good. Again this makes an intern not the best solution. You never know how fast or if at all he/she will find the best practice you need. And poking around in the big marketing swamp over and over again with every new intern will make you lose time (and money). 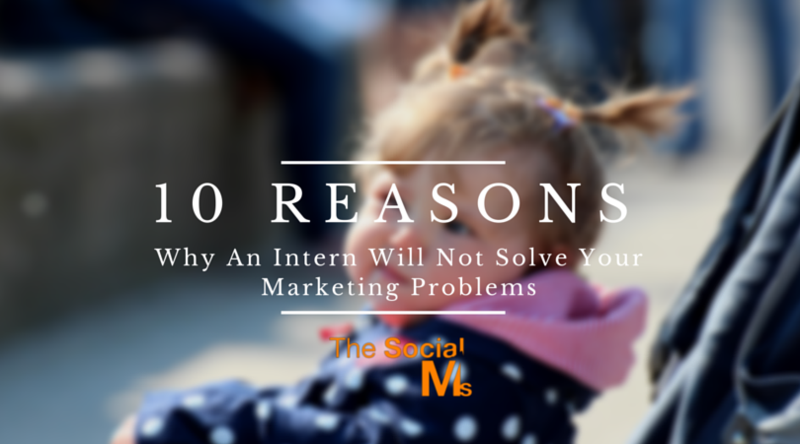 Can you expect an intern to get the same amount of work done as an experienced marketer? Maybe after a while, they will, but certainly not in the beginning, when they are still learning. Here are your options: Get less work done or hire a second or even third intern. And even that does not guarantee that the work that needs to be done really gets done – because how are they to know what is important? So, you lose time with your interns learning and pay double or even three interns. Maybe you should think about hiring that marketer again? Your intern needs more time to learn than an experience marketers: you lose time. Your interns will (in the short time they are with you) never have the knowledge and deep understanding with your product only time they spend working together with it can bring. You will lose marketing success. The marketing concepts and campaign ideas your interns can come up with in the short time they stay with you are limited. They lack experience and knowledge about best practices and ideas. You lose marketing success. Together all of this is going to cost you time, success, revenues – and in many cases your business. The cases of business success for new ventures with no marketing are rare – really rare. The cases of business success for new ventures with no marketing are rare – really rare.